Niall is the Founder of IrishCentral as well as of Irish America Magazine and the Irish Voice Newspaper. 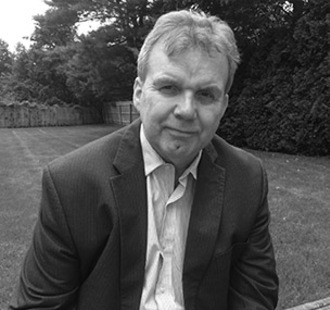 He is also responsible for publishing IrishCentral.com community newspaper and The Irish Emigrant newspaper, in Boston. He founded the Wall Street 50 awards, the Top 100 Irish Americans, the Business 100 and more recently the Top 50 Women in Business and the Irish Legal 100 awards. Niall was awarded an honorary doctorate by University College Dublin for his work on the Irish peace process, which was a subject of a book, "Daring Diplomacy" and a PBS Special, "An Irish Voice." What is in the Mueller report? The findings show The Don at his finest. "ReMastered – The Miami Showband Massacre" is a powerful tribute to the work of one man who has kept the case alive. So which Irish are you? Shanty or lace curtain, narrowback or donkey, Mick or Paddy? Ireland of the 1960s was a very strange place. The power of the church was absolute, never more so than in Holy Week and the celebration of Easter was far from a celebration. Abraham Lincoln was shot dead this week in 1865 making this Monday, April 14, the 155th anniversary of his death. Ireland received an apology about The Great Hunger in 1997, but Armenia still waits for a similar apology from Turkey. The Irish professor whose company has begun a new approach for treating Parkinson’s has said he has high hopes that it will be effective in treating the disease in humans.